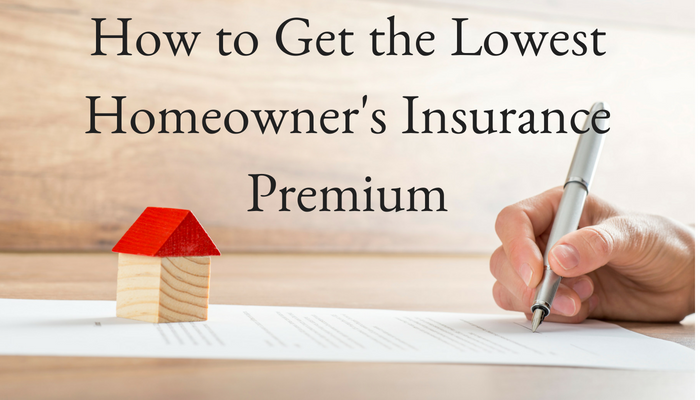 It may surprise you but you can actually lower your home insurance costs, even once you've already established a policy. But whether you are new to buying a home or looking for a better rate, there are things to keep in mind. Just like car insurance, your homeowner's insurance is something that you should be shopping for to find the best rates and plan for your needs. If you go through an agent, a lot of times they will give you far more coverage than you actually need. So how do you lower your home insurance costs? Use these 10 simple steps. #1. Understand your own comprehensive loss underwriting report. Also called CLUE, this Comprehensive Loss Underwriting Exchange report details all of your homes property claims for the last five years. This means that insurers could deny coverage if the home has had several claims. This really is important if you're buying a home. You'll want to make sure that the sale is contingent on a professional home inspection to ensure that any of the issues on the Clue report have been resolved. #2. Start shopping for insurance as soon as your offer is accepted. Underwriters must have proof of insurance in order to approve a home purchase. The last thing you want is to find out that your coverage is denied at closing. Your interest rates are not the only thing affected by your credit. Some companies used credit-based insurance course to determine your premiums. Many companies will offer a discount if you put your auto policies and homeowners insurance under one package. #5. Consider raising your deductible. If you can afford to pay more towards a loss or a repair, your premiums could be lower. Also, try to avoid making any claims for issues less than $1000. You might be surprised as to what type of discount you get such as a discount for working from home, having extra smoke detectors, or security system. #7. Ask about group discounts. Often companies will give discounts for certain association memberships or alumni organizations. #8. Review your policy annually. Sometimes your policy limits on the value of your home change each year so it's important to keep your coverage current on what you currently have. #9. Consider a government-backed insurance policy. In several high-risk areas across the country, the government may back a plan to lower rates so it's important to ask about all types of discounts from the government. #10. Don't over insure your home. Like I said in the beginning, many insurance companies will offer far more coverage than you actually need. Make sure you understand everything in your policy and that it covers what you want. If you have more questions or would like some information on reputable homeowners insurance throughout the Columbus area feel free to give me a call at any time.